10.15 Tasty summery salad - great flavours. Another great variation on a couscous salad. A good side dish that's likely to become a staple at our place. Michele Cranston's second book in the Marie Claire series continues the tradition of delicious food presented simply and stylishly. With easy recipes that suit the modern lifestyle, this book is a must for every home. Divided into seasons, the emphasis is on using the freshest of ingredients to achieve the tastiest results. 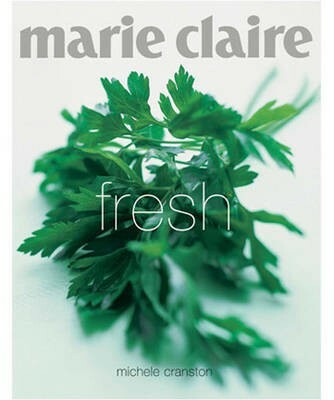 As has come to be expected from all the Marie Claire books, the photography is original and evocative.